Not some time ago came a day in April that saw Samsung release a list of eligible devices on their website indicating which devices would receive the upgrade to Android 4.0 Ice Cream Sandwich. At the time, T-Mobile devices were mysteriously absent, with only a short statement available: “We are in close communication with T-Mobile…” the message went on to say in place of an actual device list. That is, until today. While todays unofficial Galaxy S II Ice Cream Sandwich release date didn’t pan out, Samsung has updated their website with a specific list of T-Mobile devices that are set to receive the ICS update. Much to my happiness, the Samsung Galaxy S Blaze 4G is listed, along with the Samsung Galaxy Tab 7.0 Plus and Samsung Galaxy Tab 10.1. Oh yes, the Samsung Galaxy S II is listed leaving no room for any more discussion as to whether it WILL RECEIVE the Ice Cream Sandwich update. So there you have it, official confirmation for four Samsung/T-Mobile devices. When will the update be available, what date? This is great. Now I have to decide which devices to pick up on b.o.g.o deal. Or do I hold out for S3. So many decisions. Does anyone know if the Note is scheduled to get I.C.S.? I’d be holding out for S3. What happened to receiving it May 14? Someone didn’t read the post! Keep an eye on the XDA forums. I am betting the official T-Mobile ROM will show up long before T-mobile actually decides to push it out. Just like what happened with Gingerbread. Ok, It’s unofficial, but ICS just the same. Yay Galaxy Tab Plus is getting ICS now if we only knew when…..
Nah, I was going to save that for an email! Where’s the link to the actual dates? If there were actual dates, we’d have posted them! Why you even give some of these whiners any attention is beyond me. You are not promised any updates when you purchase your phone and your phone works perfectly fine on GB. 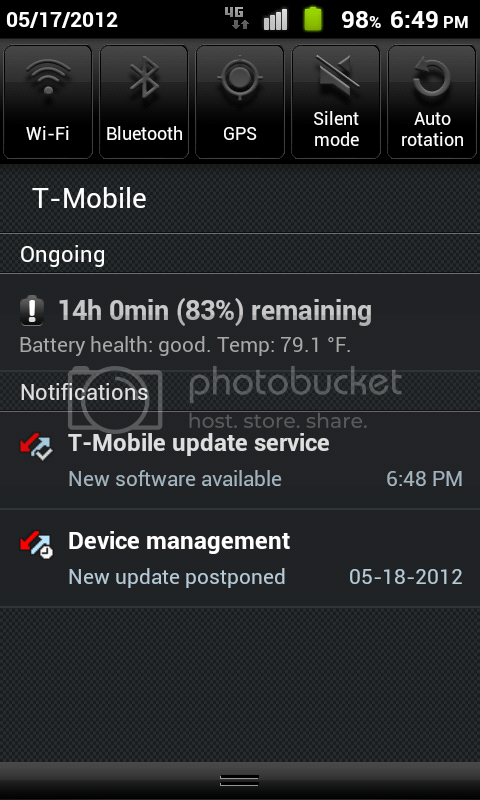 Samsung is always last when it comes to updates especially on T-Mobile. I bought the Tan 10.1 three days after T-Mobile listed it and will be among the last to get ICS. The only reason I have a Samsung phone is because it’s the Gnex. Sammy you will get my money if Google’s next Nexus is from you, but if not you can kiss my a$$. I am sure Samsung will halt all business to address a whiner. I guess you are the CEO of samsung. But if not then shut up as I am entitle to my opinion as you are. Being disappointed is not whinning. Well, I as I always say, I the 2nd mouse gets the cheese. At least some of the latest bugs will be worked out by then. i wish it would have been today i was super excited for ics on my sg2 but i guess i can wait…. I guess the exhibit and exhibit two are stuck on Gingerbread. Woohoo! Tab 7 plus! Thank you Sammy and Magenta! What about the EXHIBITS 2? And the LG DOUBLED PLAY? doubleplay is by lg stupid…. But when the heck is the cotton picking update coming out? whaaaaaaa even when will my Dash get W8?I mean I am entitled to updates forever right? I did buy the phone WITH NO PROMISES, GUARANTEE OF ANY UPGRADE so why take any personal responsibility for myself? Dont see how being on the list is any more useful. There are no dates, so where is there commitment. Better to have dates of when to expect this or not. I agree, a representative told me the reason the Sidekick 4G was retired because it didn’t sell well. But a new is coming soon. When I was in retail, I tried everything not to sell that phone!! I received a ota notice this morning for a software update but it isn’t going anywhere besides a reboot into superuser mode. Well, I have a tab and an gsii so this makes me happy. Just wish they’d get on with the getting already. 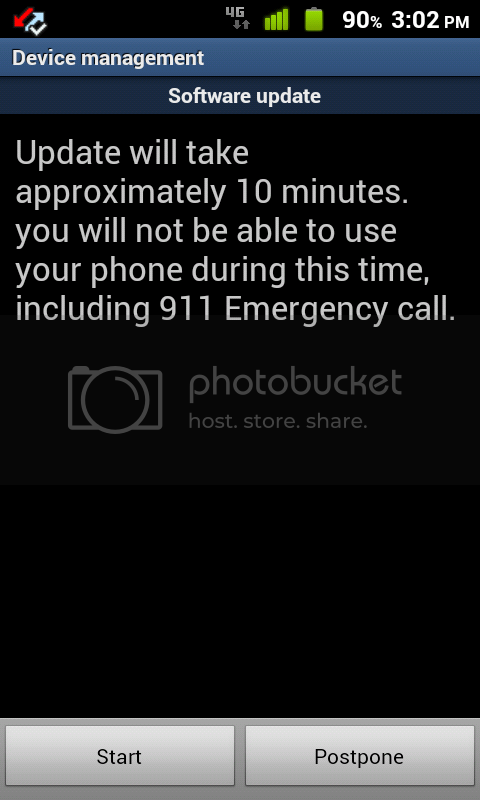 Sure, the update ICS update will come out for the Galaxy S2 but WHEN. I bet it will come out in a year. After the FROYO update for the Original Galaxy Vibrant took MONTHS to arrive and no Gingerbread update ever came, EVEN THOUGH IT WAS ANNOUNCED AND QUIETLY CANCELLED…..I say BS until I see it!! TMO and Samsung will never see me again after my contract is over this coming September. They have the worse update records on the market. Android system…multiple devices with multiple hardware configurations from multiple vendors. AGENT360, get facts BEFORE you type. ICS for SGH-T989 is a baseband (radio update) ICS software update. Improvements are HUGE. Very nice! Looking forward to upgrading my Galaxy II. Does anyone know if this upgrade get rid of Touch Wiz and include the version of Swype for ICS? Like I said nub, get facts straight BEFORE you post. U got this morning? R u sure it ics? WHAT HAPPENS WHEN U PUT A CRACKER IN SOUP??? Stop the lying man, post pictures and videos, then we will believe. When is the set date? Im in Florida, anyone here get it yet? I got the first notification of the update 2 days ago, and I have postponed each day because my phone is rooted and running a custom ROM, and I currently don’t have the time to go back to stock and update, so I postponed once again (I will get another notification in 24 hours, hence the 5/18/12 tag on my notification menu). I decided to take screenshots for you guys as proof that SOME OF US received an OTA update notification. Is it ICS? I don’t know since I have yet to update, but I’m guessing it could be. Which device is that on? Care to explain your comment better so that it actually makes sense?